James Fox explores how the artistic life of three Japanese cities shaped the country's attitudes to past and present, east and west, and helped forge the very idea of Japan itself. Dr James Fox explores how the artistic life of three great Japanese cities shaped the country's attitudes to past and present, east and west, and helped forge the very idea of Japan itself. Beginning in Kyoto, the country's capital for almost a thousand years, James reveals how the flowering of classical culture produced many great treasures of Japanese art, including The Tale of Genji, considered to be the first novel ever written. In the city of Edo, where Tokyo now stands, a very different art form emerged, in the wood block prints of artists such as Hokusai and Hiroshige. James meets the artisans still creating these prints today, and discovers original works by a great master, Utamaro, who documented the so-called 'floating world' - the pleasure district of Edo. In contemporary Tokyo, James discovers the darker side of Japan's urbanisation, through the photographs of street photographer Daido Moriyama, and meets one of the founders of the world-famous Studio Ghibli, Isao Takahata, whose haunting anime film Grave of the Fireflies helped establish anime as a powerful and serious art form. 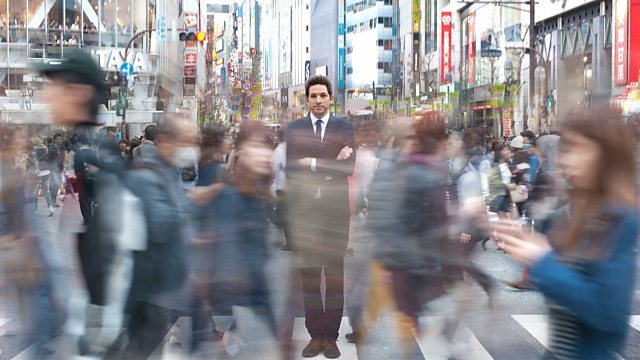 BBC Four explores the art, culture and history of Japan. Three weeks of programmes on the art and culture of Japan.